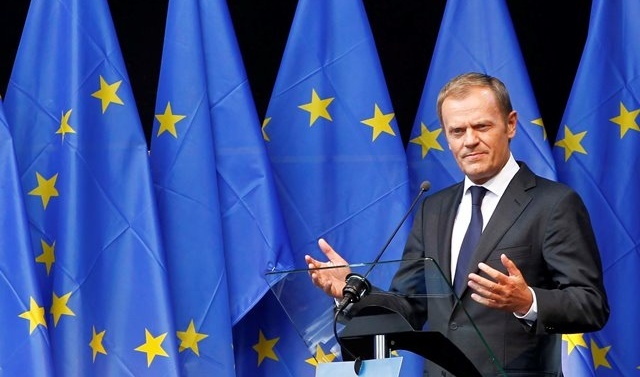 BRUSSELS: Donald Tusk has courted controversy by saying there is a “special place in hell for those who promoted Brexit without a plan”. A Downing Street spokesperson said it was a question for Tusk “whether he considers the use of that kind of language helpful”. “We had a robust and lively referendum campaign in this country. In what was the largest democratic exercise in our history, people voted to leave the EU,” the spokesperson said, adding the focus was now on how to leave the bloc “in an orderly manner”. Varadkar, visiting Brussels a day before May as Ireland strives to protect its interests in the bloc, said the Brexit deal made last year was “the best deal possible”. Next Article » RegioJet, the biggest private train operator in Central Europe, annouces record results of its train business in 2018.